[New York, NY – September 12, 2018] Today, Atlanta rapper/producer/artist Father announces his forthcoming mixtape, Awful Swim is set for release on September 21st via Awful Records/RCA Records. The mixtape will be released as part of a campaign with Adult Swim. The partnership includes Awful Swim artwork and forthcoming merchandise designed by Emmy-award winning designer JJ Villard, Father’s music being featured in network bumps and promotions, and will see Father perform at the inaugural Adult Swim Festival in LA this October. Adult Swim will also host an exclusive preview of Awful Swim on September 19th on www.adultswim.com. Additionally, Father is part of the Adult Swim Singles program and kicked off round eight last week with the release of “Fashionista ” ft. Lil House Phone. 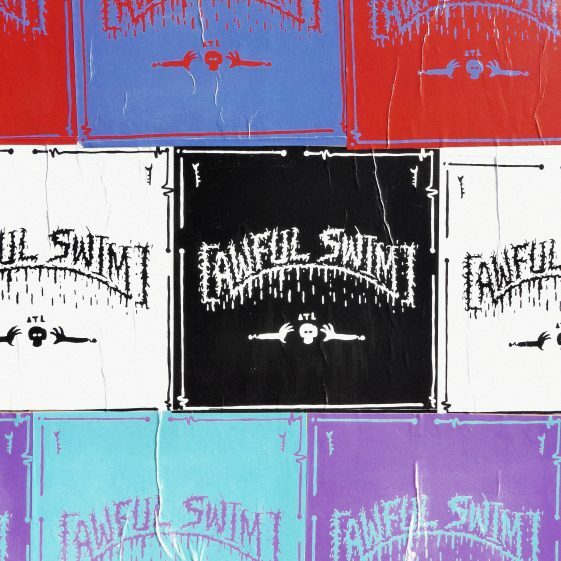 Awful Swim was initially teased on Monday with mysterious billboards in LA and Atlanta. Click HERE to see. Father also today releases the video for “Thotnite,” which is taken from Awful Swim. Click HERE to watch. To celebrate the announcement of Awful Swim, Father also shares he will be embarking on “The Private Show” tour, which kicks off on October 16TH in London at XOYO and will hit Paris, Berlin and Hamberg. The tour will feature direct support from fellow Awful Records duo Danger Incorporated. Tickets will be on sale on Friday, September 14th at 10 AM local time on www.awfulrecords.com. Earlier this summer, Father released “We Had A Deal” and “Lotto” ft. ABRA and their accompanying videos which marked his first releases since announcing his newly formed creative partnership with RCA Records. Both will appear on Awful Swim. The tracks were met with great critical praise upon release. Pitchfork exclaims, “… [with] rattling sub-bass, plenty of open space, and sticky choruses…Father’s charisma [is evident]…he finds nuance and humor where other rappers see black and white” on “We Had a Deal.” FADER proclaims, “The songs reassert the Atlanta-based rapper as an influential figure in today’s SoundCloud rap scene with flows and acidic humor for days.,” while NY Magazine’s Vulture, Highsnobiety and XXL all included the “We Had a Deal” in their “Best Tracks of the Week” roundups.